St. Nicolas, Santa Claus or St. Basil ?? One of the most famous traditions all over Europe is the tradition of Saint Nicholas Day, usually on 6 December, a festival for children in many countries in Europe related to surviving legends of the saint, and particularly his reputation as a bringer of gifts. The tradition immigtated to the Americas as well, with the invention of Santa-Claus. The Anglo-Canadian and British Father Christmas also derive from these legends. 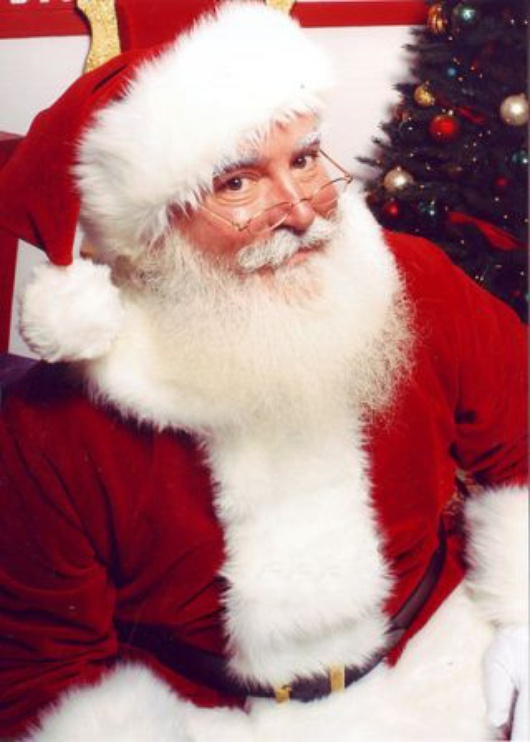 "Santa Claus" is itself derived from the Dutch Sinteerklas. 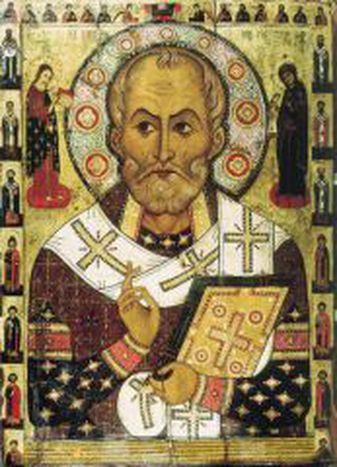 Very few legends and traditions unite Europeans as much as the figure of St. Nickolas: Honoured by Catholics, Orthodox and Protestants, patron saint of Russia, Aberdeen, Amsterdam, Bari, Liverpoold, Lorraine and many many more cities or regions. And he is also protector of sailors, students, kids and whatever you can imagine, depending on each local tradition! St. Nicolas, was of Greek origin from Lycia (modern day Turkey) and was a bishop, known for his secret gifts, which resulted to be used as a model for Santa Claus. Check here how Europe celebrates St Nicolas day, here. In Greece, however, Saint Nicholas does not carry an especial association with gift-giving, as this tradition is carried over to St. Basil of Cesarea, celebrated on New Year's Day. 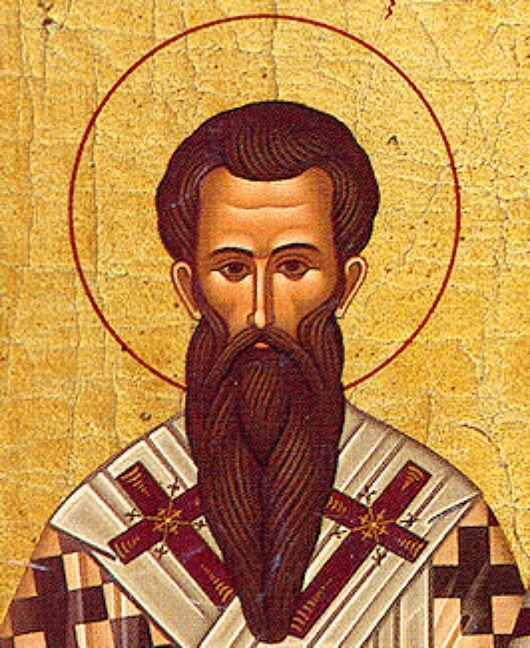 Basil of Caesarea, also called Saint Basil the Great, ( Άγιος Βασίλειος ο Μέγας) was the bishop of Caesarea in Cappadocia ( modern-day Turkey). He was an influential 4th century Christian theologian and holds a unique place in the Eastern Orthodox tradition as a Great Hierarch. St.Basil was known for his care of the poor and underprivileged and a famous dessert carries its name, the 'Vassilopita' (St. Basil's pie), which is a pie that holds a golden coin. This custom routes back to Antiquity, when the Ancient Greeks used to made breads or sweets with coins in order to celebrate Saturn. It is interesting that in Greek Saturn is called Cronos which comes from chronos (=time or year!!). According to the Orthodox tradition, enemy armies were trying to destroy Caesarea where St. Basil was bishop. He ordered then the people to amass gold in order to be given to the enemies so that they wouldnt burn the region. Finally the enemies never show up, and the gold had somehow to be redistributed to the people. However, they didnt know what each one had given. Thus, the Saint created breads which carried a golden treasure which where then given to the people of Caesarea. Since then, on the 1st of January Greeks use to create St. Basils pie. The one who finds the golden coin every year is regarded as ''blessed'' and the ''lucky man'' of the year!